Seriously, that is all I could think about when I saw it. 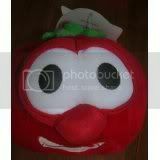 OMG, Veggie Bob just got laid by Elmo... and this crime against nature was the result! A dude went to work in a Tickle Me Elmo factory. He came highly recommended ... very fast worker, always made his quota, etc. So the manager puts him on the production line. A few hours later, the manager is dismayed to see the backup that has formed on the production line. 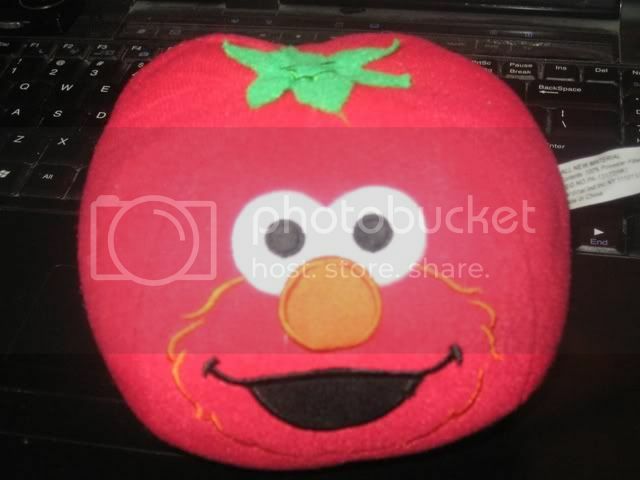 Stuffed Elmos are everywhere! 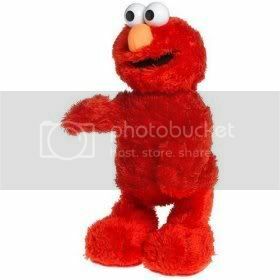 He tracks the holdup to his new employee, who he finds frantically sewing two small red pom-poms between each and every Elmo's furry red legs. Immediately understanding the cause of the confusion, the manager bursts out laughing. "Ron," he says, between fits of giggles. "I told you to give each Elmo two test tickles!"